This is a story about a young man who changed my life. As I was growing up I had heard many stories of people getting cancer and how hard it was on them and their friends and families. I saw some of my friends from a dance group I was involved in experience the pain but I never truly understood what they were going through. Then one of my best friends took it on first hand and it completely changed my perspective on my life and things I was doing. There was a point in my life where I was not choosing my lifestyle wisely. I was becoming someone I didn't like, not that my personality was changing but the people I was hanging with weren't doing great things. I was losing some of my best friends including Sierra. I didn't care because I thought what I was doing was fine and my true friends didn't. So I let some of them go. Then the true test of friendship came knocking at my door one day. Sierra called me and told me her brother Ty had lymphoma. I didn't know what to say to her. I wanted to say so much but all I could do was listen to her cry. At that moment nothing else mattered and I drove straight to her house and just hugged her for hours. 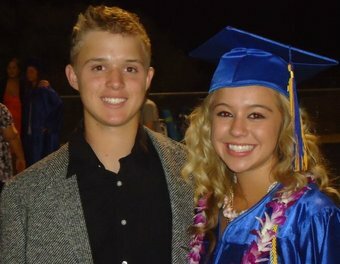 Her brother is only 15 and he was about to go through one of the hardest parts of his life. It was so hard to go to the hospital and watch them sitting there waiting and being so upset. But even though their family was going through some really tough times they seemed to be really happy. I was so confused as to why they were being so happy when things were so bad. One day I showed up at the hospital and when I walked in I saw everyone there and they were having a great time laughing and having a ball. I just stood at the door for a bit and someone finally turned around and saw me. They invited me in and it was one of the best days that I'd had in a long time. I finally understood why they were all so happy in such a time of despair. After that I realized that my friends were some of the most important people in my life. You would think that this would be common sense to most people, and it is. Sometimes there are times in your life that make you forget what is truly important. For me this took one of my best friends going through a very difficult time to realize it again. It was not easy watching their family suffer or watching Ty be miserable but I am so glad it happened. Sierra's family found a way to bring so much life to the situation and I will never forget that summer that changed my life.